Anytime Locksmiths in Tameside offers key cutting service by professional locksmiths in Denton and Audenshaw and the wider Tameside area of Greater Manchester. Your local Tameside locksmith can cut keys for most locks by hand or using special computerized machinery. Key copying requires expertise , if not done precisely you will have difficulty in opening the lock and more often the not eventually ruin the lock or break the key inside. Our trained and experienced professional locksmiths ensure a perfect cut or copy service including ordering direct from the key manufacturer if necessary. Our key repair service for broken, worn or damaged keys covers most key types including mortice keys, cylinder keys, master keys, padlocks, safe and car keys. Your master locksmith also provides service for electronic keys and can fix or reprogram most keyless entry systems. As professionals with years of experience fixing, installing and replacing various brand name locks and keys including Yale, Chubb, Era, Multlock and many others, technicians can advise you of the best option for your specific needs. Front and back entry/exit doors require stronger mortise locks that conform to BS3621 standards and window locks depend on the window location. 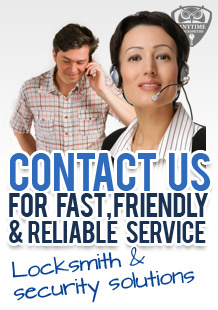 At Anytime Locksmiths we also provide all types of uPVC locksmith services both commercial and residential. Of course in addition to our key services, we offer the normal locksmith services for lockouts, broken locks and lost keys. Our 24 hour emergency locksmith service provides immediate service by local locksmiths, and our auto locksmith service includes roadside assistance wherever you are stuck. Security advice for your home or office with free estimates including locks, alarms and control access systems is just a phone call away. CALL 0161 870 6204 TODAY! Getting a locksmith in M34 has never been easier.